When you were a child, did you ever get angry at your mother? I mean really mad, screaming, foot stamping, “I hate you!” mad. Everyone must have felt that way at some time growing up, but the question is whether you showed it or just felt it. And if you behaved the way you felt, what response did you get? It’s helpful to think about that now as a parent because the way children express anger is a big sore point in the way we react to their behavior. No one likes being the target of someone else’s anger, especially if it is someone close to you. Their anger feels like an attack and can make you feel like attacking back. 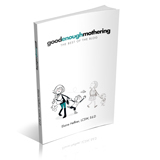 Children’s anger sometimes feels like an accusation – as if they’re saying you are a bad mother. Sometimes they even say as much. A child may be angry because he couldn’t have something he wanted, or do something he wanted to do. His angry behavior is his protest, but instead of it sounding like something about him, mom hears it as being about her – his behavior is her fault. Many times the intensity of a child’s reaction is not heard as a statement of how strongly he feels, but of how bad mom is. Mom may start to feel guilty and wonder if she did something that was wrong. More often, mothers feel their requests were perfectly reasonable and start to feel angry themselves at the child’s attack. Mothers say all the time that they tell their children it’s alright to be angry, but somehow it doesn’t feel that way when children really express it. The idea of anger is not the same as anger that is expressed. Real anger can feel scary. People even say things when angry like, “I could kill you for that”. Of course we don’t go around killing each other when we’re angry, because we have control over our feelings. But children haven’t yet developed those controls and they express anger in primitive ways like hitting, screaming or throwing things. This kind of behavior can feel threatening. Children’s loss of control can make us start to feel out of control ourselves. Because the behavior is unacceptable, we too often get focused on trying to stop it. Often this ends in an escalation of the situation. Not able to control our child’s behavior, our own anger takes hold, and it sometimes seems as though we are getting down to our child’s level. Our own anger can begin to seem even more dangerous than our child’s, since as adults we are capable of inflicting more harm. The problem is that because children have not yet developed inner controls, but act out their feelings, feelings and behavior seem to be one and the same. The feelings take form in behavior, and because the behavior feels threatening we label it “bad”. Young children are unable to tell the difference between feelings and behavior and so begin to believe that it is the feelings that are bad. The fact that angry feelings are joined emotionally to attacking behavior in childhood seems to color our response to anger throughout life. We were all children once, and sometimes still have trouble separating angry feelings from behavior, both in our children and in ourselves. We may still be afraid that the intensity of our feelings will be matched by the enormity of our actions. It can begin to feel unsafe not only to express anger but to feel it. The result is that when it comes to our children, one way of avoiding their anger is to focus only on the behavior in which it is expressed. Since the behavior is “bad”, it is easy to look at it simply as misbehavior, rather than as an expression of anger. It then becomes only something that needs correcting in the child, but it can be ignored as a statement about how a child is feeling toward his mother at that moment. Mom sees her child as needing to learn how to behave properly, rather than needing to learn how to express anger appropriately. In fact, our job is to help our children learn that their feelings are acceptable, but hitting, screaming and throwing things are not. A mother can only teach this, though, if she herself feels that her child’s anger is not dangerous to her and does not have to be wiped out in order for her to achieve her own goals. To accept your child’s anger and teach him to express it differently, you have to be ready to hear disagreement. You have to be able to tolerate the fact that your child doesn’t like something you are doing – in fact doesn’t like you at that moment. In other words, you have to risk feeling like a “bad” mother. If you can accept this you don’t have to counterattack with your own anger, or give in, making you feel helpless and your child’s anger seem powerful and frightening – to him and to you. Author Elaine HeffnerPosted on December 27, 2010 Categories Conflicts4 Comments on How Bad Is Mad?